History laid a heavy hand on Bevilport. But you won�t find it on many road maps or marked by highway signs. The old townsite--once a steamboat port on the Angelina River--was named for John Bevil, a Virginian who came to Texas in the l820s. 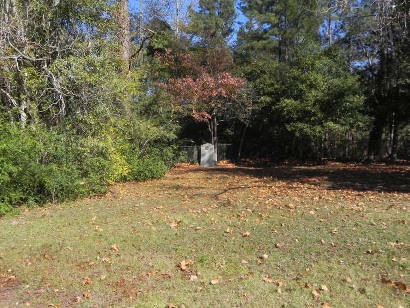 He is given credit for founding the community, as well as Bevil�s Settlement, the forerunner of Jasper. As a speculator, Bevil�s propensity for land deals got him in trouble, and he was reportedly forced to leave Jasper County for a time as a result of disputes over land titles. He also developed the unsuccessful City of the Pass (now Sabine Pass) in Jefferson County. 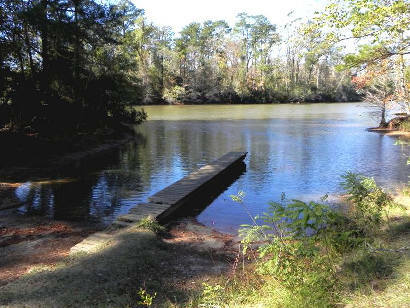 As a river navigation point from 1830 to 1860, Bevilport was noted for its bustling river docks, which shipped East Texas cotton and hides to New Orleans. General Sam Houston, who engineered the Texas Revolution, was given the first lot in the townsite. 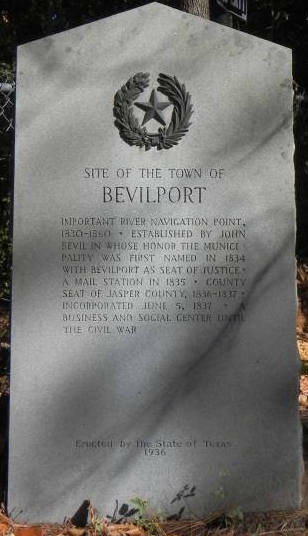 Bevilport had a main street and a hotel by the 1850s and served as a business and social center until the Civil War. 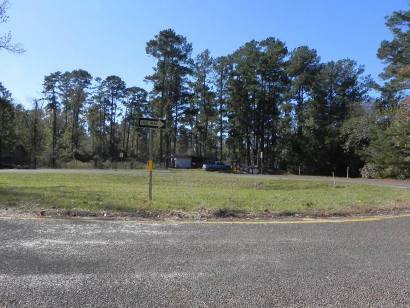 But, when logging for Beaumont sawmills began to interfere with riverboat traffic on the Neches River below its confluence with the Angelina River, Bevilport began to decline. Today, there are few buildings left at Bevilport. One of the town�s old homes, once owned by Randolph C. Doom, an early customs collector, still stands--but not in Bevilport. Former Congressman Jack Brooks of Beaumont bought the home, moved it a few miles north of the river, and refurbished it as a family retreat. During Brooks� heyday as a political power broker, House Speaker Sam Rayburn and Vice President Lyndon Johnson stayed there several times. An old Doom ledger shows that Sam Houston bought a gallon of kerosene on credit at the store in the l830s--and never paid for it.